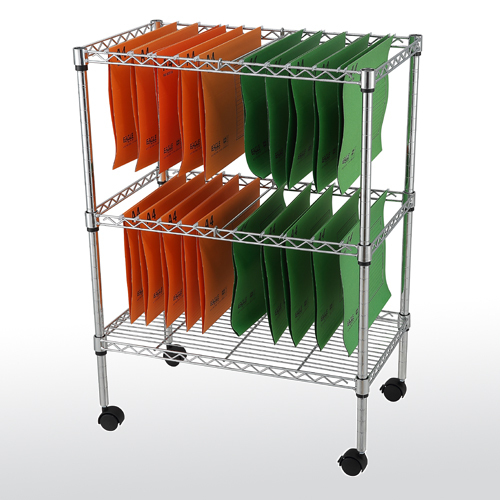 These mobile file carts keep paperwork handy wherever you need it and can be rolled and stored away when you don't. Includes four 2" hooded casters (2 locking) for easy mobility. Assemble without tools.